Double Speed 4G and 4G+: Worth The Upgrade For Higher Speeds? EE currently offers three tiers of download speed: standard 4G (up to 20Mbps), double-speed 4G (up to 60Mbps) and 4G+ (up to 90Mbps, their fastest 4G). If you’re joining EE on a Pay Monthly contract, you now have three different types of tariff to choose from. Their basic 4G offering is available on 4GEE Essential and starts from £16.99/month with up to a 20Mbps download speed. This is about four times faster than a standard 3G connection (in the real world, typical download speeds will be more like 12-15Mbps). Customers on the more expensive 4GEE will get access to EE’s faster double-speed 4G network. Download speeds on double-speed 4G can go up to 60Mbps, but are more typically between 24-30Mbps (this is about eight times faster than standard 3G). Finally, customers on the most expensive 4GEE Max will get access to EE’s fastest 4G+ service (also known as 4.5G or LTE-Advanced). This gives maximum download speeds of up to 90Mbps. You’ll need a compatible smartphone supporting the service (with Category 6 LTE or higher) and you’ll need to be living in a 4G+ coverage area (at the moment, the service is only available in London). In this article, we’ll review and compare the three different levels of 4G coverage. We’ll also find out how much difference double-speed 4G and 4G+ make in reality, and whether it’s worthwhile to upgrade your handset and tariff. 1 What is Double Speed 4G and 4G+? What is Double Speed 4G and 4G+? 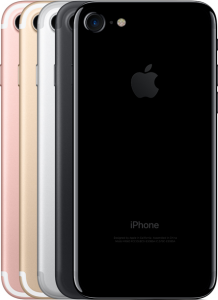 On newer smartphones like the iPhone 7, it’s possible to access 4G+ coverage. In the UK, most 4G mobile networks will give you a download speed of around 12-15Mbps. This is about four times faster than a standard 3G connection. On EE, Pay Monthly customers choosing either 4GEE or 4GEE Max can access maximum download speeds that are significantly higher. Subject to coverage in your area and handset compatibility, you’ll have access to either double speed 4G or 4G+ coverage. On double-speed 4G, average download speeds are around 24-30Mbps (EE advertises the service as offering up to 60Mbps). The average upload speed is about 11Mbps (about twice as fast as standard 4G). In order to access double-speed 4G, you’ll need a handset that’s compatible with the service. With 4G+ (also known as 4.5G or LTE-Advanced), customers on 4GEE Max are able to access even higher speeds. Typical download speeds are up to 90Mbps: significantly faster than many fibre broadband connections. The average upload speed is also higher at around 30Mbps. Only a limited number of handsets currently support 4G+ download speeds (popular choices include the iPhone 6s, iPhone 7, Galaxy S6 and Galaxy S7). Source: ee.co.uk. According to EE, the peak download speeds are 30Mbps on their standard 4G service, 60Mbps on double-speed 4G and 150Mbps on 4G+ (their LTE-Advanced service). If you’re an EE Pay As You Go customer, you’ll get double-speed 4G on Everything Packs of £15/month or more. All other customers will receive the standard 4G service. You’ll notice a difference in speed when downloading movies from the internet. In terms of real world impact, the difference you’ll notice with double-speed 4G and 4G+ will really depend on how you use your smartphone. If you’re browsing the internet, the average web page will download in 0.1 second with 4G+ and 0.2 seconds with double-speed 4G. On standard 4G, it’ll be approximately 0.5 seconds whereas on a 3G network it’ll be 1.7 seconds. With only a small difference in download time, you’re unlikely to notice much of a difference when browsing the internet. For larger downloads (e.g. apps and games), the increased download speeds will start to become a little more noticeable. Take a typical smartphone app of about 13MB in size. With 4G+, this will download to your phone in just 1.2 seconds. This compares to 3.5 seconds on double-speed 4G and 7 seconds on standard 4G. Given the real-world time saving is still measured in seconds, this probably isn’t a big enough benefit to warrant upgrading to a higher tariff. You’ll only really notice a significant difference when it comes to very large downloads on your smartphone. 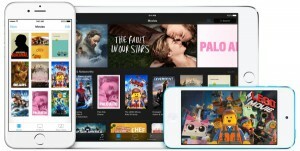 Take a 2-hour movie (around 1.2GB from iTunes). On normal 4G, the movie will take around 11 minutes to download. This will drop to around 5 minutes when using double-speed 4G and around 2 minutes when using 4G+. If you download movies on a regular basis (and if you have a download allowance that’s large enough for you to do so), the higher speeds will begin to become a more worthwhile upgrade. For the majority of users, however, there’s probably little benefit in upgrading solely for higher download speeds. For the comparison table, we have used the average download speeds: 4Mbps (3G HSPA+), 15Mbps (standard 4G), 30Mbps (double speed 4G) and 90Mbps (4G+). 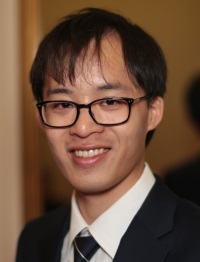 Typical file sizes used in our calculations: 859KB for a webpage (Feb 2014, Mobile HTTP Archive), 10KB for a basic e-mail, 2MB for a high-quality photograph, 5MB for a music track, 13MB for a typical app download and 1.2GB for a standard-definition movie. For more information, please see our in-depth guide to mobile download speeds. For more information, please read our in-depth review of 4GEE Max and 4GEE. In order to fully take advantage of the higher speeds available, you’ll need a handset that’s compatible with the double-speed 4G and 4G+ mobile networks. Almost all modern 4G smartphones should support double-speed 4G. They include the Apple iPhone 5s, the Samsung Galaxy S5 and later devices from both Apple and Samsung. On the spec sheet, you can double-check by looking for Category 4 LTE support (sometimes abbreviated as Cat4 LTE). For 4G+ download speeds, you’ll need a smartphone that supports Category 6 LTE or higher (sometimes abbreviated as Cat6 LTE on manufacturer spec sheets). Smartphones supporting 4G+ include the iPhone 6s, iPhone 7, Galaxy S6 and Galaxy S7 (a full list can be found on the EE website). In order to benefit from higher speeds on 4GEE, you’ll need to live in an area with double-speed 4G coverage. EE currently has 97% population coverage for their 4G service with about 80% coverage on double-speed 4G. Most urban areas are now covered by a double-speed 4G service but some rural areas will only have access to standard 4G. The coverage checker on EE’s website will tell you whether double-speed 4G and 4G+ are available in your area. You can enter your postcode on EE’s online coverage checker to see whether double-speed 4G is available where you live. At present, only customers living in London are able to benefit from 4G+ download speeds. 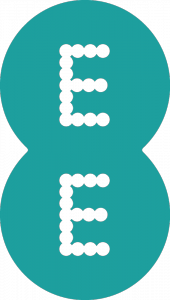 Going forward, EE has pledged to roll out their 4G+ service in 2017 to “twenty of the UK’s busiest cities”. 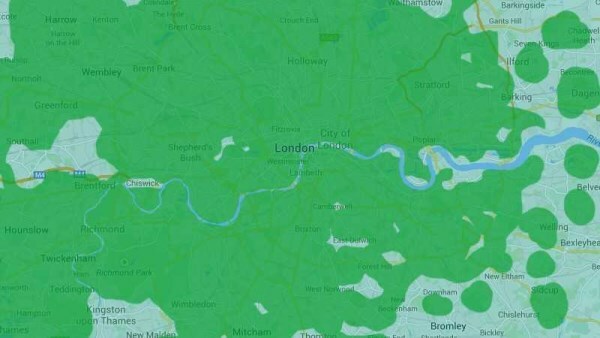 EE currently offers 4G+ coverage in most of London. As well as living in a 4G+ coverage area, you’ll also need to have a 4G+ smartphone. Your smartphone will need to support Category 6 LTE or higher (also known as Cat6 LTE or LTE-Advanced). You can see a list of compatible smartphones on the EE website. EE’s double-speed 4G works by making use of a 2 x 20MHz chunk of 4G spectrum. Compared to other 4G networks which only use a 2 x 10MHz chunk (e.g. O2 and Vodafone), EE has twice the capacity for data to flow over their network (it’s a bit like having twice as many lanes on a motorway). By utilising a 2 x 20MHz chunk of spectrum, EE is able to offer double-speed downloads compared to a normal 2 x 10MHz network. At present, EE uses their 1800MHz spectrum to offer double-speed 4G (this gives download speeds of around 30Mbps). Both O2 and Vodafone offer normal-speed 4G (around 15Mbps). With limited spectrum in the 800MHz range, they aren’t able to offer double-speed 4G. Meanwhile, Three has enough spectrum to offer 1.5-times speed 4G at 1800MHz (download speeds of around 22Mbps). 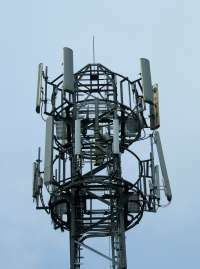 In the UK, 4G is being implemented using LTE-FDD. LTE-FDD requires a pair of two frequencies: one frequency for downloading and another frequency for uploading. As spectrum is paired in an upload/download arrangement, the quantity of spectrum is normally listed as 2 times some figure (e.g. 2x5MHz, 2x10MHz, etc). 2x20MHz means there is 20MHz available for upload and another 20MHz available for download. * LTE networks are limited to using 2x20MHz channels. For more information, see our article on the UK’s 4G landscape. Indoor coverage at 2600MHz is worse than at other frequencies. For their 4G+ service, EE is utilising a technology known as LTE Advanced (4.5G). LTE Advanced uses carrier aggregation to combine bandwidth from different parts of the spectrum. On EE, 4G+ uses 2 x 20MHz from the 1800MHz range and another 2 x 20MHz from the 2600MHz range. Together, there is 2 x 40MHz working together giving you download speeds of around 90Mbps (it’s a little bit like doubling the lanes on your motorway once again). Due to their limited amount of spectrum, other networks are unable to match EE’s 4G+ service in terms of speed. With LTE-Advanced and carrier aggregation, Three would only be able to match EE’s double-speed 4G service. Meanwhile, Vodafone has a 4.5G service with 2 x 30MHz of spectrum in total (the service is still slower than 4G+ on EE). If you’re looking to have the fastest download speeds in the UK, we would definitely recommend choosing 4GEE Max. 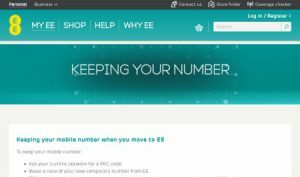 If you’re changing over to EE, it’s a straightforward process to keep your current phone number. First of all, contact your old network and ask them for a PAC Code. The PAC Code authorises the transfer of your phone number to EE. Once you’ve received the PAC code, order your new handset or SIM card from EE. Finally, head over to this online form where you can submit the PAC Code and have your number switched over. Your number transfer will normally take place on the next working day. You can find out more about the double-speed 4G and 4G+ services on EE’s website. You can also read more in our 4GEE Max review. 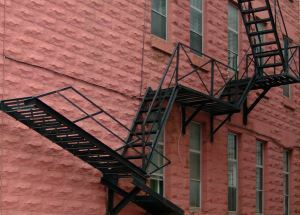 We'd love to hear your thoughts and any questions you may have. So far, we've received 19 comments from readers. You can add your own comment here. My question relates to whether 3G is adequate for using Waze or other routing app. Or, should I get 4G? Thanks for your comment and that’s a very good question! With a 3G connection, you’ll typically be able to get download speeds of around 4Mbps. Therefore, this should be absolutely fine for Waze (no urgent need to have a 4G connection). I’d probably say that EE has slightly better coverage but there’s no simple answer as it will differ depending on where you live and work. In the first instance, I’d probably compare the results from the Three coverage checker and the EE coverage checker. Once you’ve done that, see my guide to mobile phone coverage in the UK. If you’d like to test out coverage without the commitment of getting a new contract, you could consider ordering a free Pay As You Go SIM card. I’ve recently received a new 12 month Sim only deal, sold to me by someone claiming to be from EE (0345 450 0269). I checked several times before agreeing to buy that the contract was a 4GEE Extra contract, the guy repeated several times, yes, Fast 4G. So I agreed and signed up. I’m using an iPhone 6, in central London, when I run a speed test, I receive speeds of upto 40mb, but not the 70+mb speeds I was previously (occasionally) able to achieve on O2. Bottom line, I’m struggling to determine if I’m able to receive the higher speeds (and eventually 4G+ (LTE-A) with the next iPhone release) with this sim only contract. Can you help? Thanks for your comment. 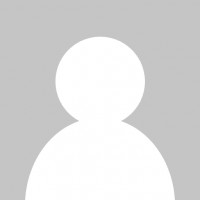 I’ve done a bit of investigating on the internet: it appears this isn’t an official EE phone number – instead it belongs to an EE partner known as Voice Mobile. With regards to double speed 4G, I think you’re able to access the higher speeds on a SIM only plan with 2GB of internet or more every month. The 40Mbps speeds seem fairly decent (it’s better than what I’d normally expect for double speed 4G). In theory, you can get 150Mbps on double-speed 4G but this will only be with very good coverage and when nobody else is using the mast. Hence, based on typical speeds, I’d guess that you were indeed using double-speed 4G. With regards to O2, they use standard 4G with a 2x10MHz channel. The maximum theoretical download speed is 75Mbps. In reality, it’s very rare to actually hear anyone getting the full speed (15Mbps is much more typical). So massive congratulations if you were able to get more than 70Mbps! I’m just moving to EE because they have the best deal on the new Galaxy S6 Edge, and have signed up for a 4GEE tariff. I’m moving from O2 and will miss O2 Priority, such as a £1 pizza on a Monday. I’m struggling to find one page on the EE website that lays out the benefits of this tariff. The roaming will be useful, as will tethering. But what is EE film and how do I use it. Thanks for your comment. Unfortunately, EE doesn’t have one single page listing all their customer benefits – in terms of Entertainment, this is probably the closest page. In regards to your question, EE Film is no longer available. From the 30th March, I believe they’re offering £1 film rentals in conjunction with Wuaki (the £1 film rentals are available from Monday to Wednesday – you’re able to get them by texting FILM to 141). For a list of benefits on the 4GEE Extra tariff, you can see this page from EE here (scroll down towards the box at the end). Besides the double-speed 4G and roaming in Europe, you also get free 0800/0808 calls and an early upgrade 3 months before the end of your tariff. My contract with T-Mobile is due renewal and I have been considering my options for the past few months. It became obvious that I will have to transfer to EE to get a decent broadband speed. I have just had a chat with a member of the EE team on the phone. I was quite surprised at the information he tried pushing down my throat. I have always thought there was a difference between 4G and Double Speed 4G but to my surprise, this Salesman claimed there wasn’t. He said it was just a difference in wording but I wasn’t convinced. According to him, the only difference between Original 4G and the 4G Extra Plans is that you could use allocated minutes and texts within the EU if you are on the 4G Extra. He sounded so convincing but I wasn’t convinced so I jumped on Google right after the conversation. Thank heavens I found your blog. Now, what I still can’t understand is whether he was actually ignorant, or was actually deliberately trying to mislead me into taking out a new contract through him. I am very disappointed. Many thanks to the information, I really appreciate it. It is unfortunate to hear that the EE sales don’t even know the features of their own product! The EU calls & texts are one notable benefit of being on the 4GEE Extra plans. Double Speed 4G is the other key benefit though of course you’ll need to be living in a double speed 4G coverage area. I read your page with great interest. I’m in bit of dilema, I’ve been with O2 since the iPhone 3g came out. And now I’ve just bought a iPhone 6 sim free. I can’t decide on whether to stay with O2 or move onto ee (or three). I’ve notice Slough is double speed 4g, from ee coverage map. If you were in my shoes, who would you choose? That’s a very good question though it’s one I wouldn’t be able to answer! There are lots of factors you’ll need to consider: the cost of the tariff, the coverage in your area and also the extras that come with your tariff (e.g. EE Wednesdays, O2 Priority, Feel At Home, etc). In my own personal opinion, double speed 4G probably shouldn’t sway your decision as it only has very negligible benefits in day-to-day usage (you’ll only benefit when downloading large files). The quality of coverage will be much more important… be sure to use coverage maps and to do your own testing before choosing a network. You sure you have to pay extra? Thanks for your comment. EE launched their double-speed 4G service in July 2013. This is when the help article was posted on EE’s website. Customers who signed up before July 2013 were all given double-speed 4G at no extra charge. Since then, EE has split new contracts into two separate bands: standard 4G plans and ‘4GEE Extra’ plans which have the added bonus of double speed 4G. No, double speed 4GEE will be available free of charge to existing 4GEE customers. The service is compatible with all existing 4G smartphones, tablets and dongles. Are you saying this is incorrect? I see nothing on their site which suggests a connection between their 4GEE Extra plans and faster 4G speeds. Do you have a link to the contrary? Sure! Take a look at EE’s page on Pay Monthly plans – you’ll see there’s a “Network Speed” column (some tariffs have double speed 4G, others only have normal 4G). If you were to choose a phone as a specific example, you’ll find it often costs £3/month extra for double speed 4G. 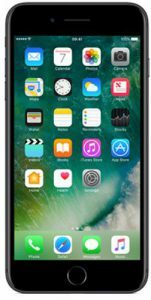 Take the 16GB iPhone 6 as one example – it’s £309.99 upfront plus £24.99/month for 2GB of 4G data or £299.99 upfront plus £27.99/month for 2GB of double-speed 4G data. To summarise, all plans started pre-July 2013 included double speed 4G at no extra charge. New customers signing up to EE after July 2013 may or may not have the service depending on their tariff. Hope this helps to answer the question! Thanks for that – looks like you’re right. Oddly, the carphone warehouse website doesn’t seem to have any information on this; at least, not on the pages where it shows you phones and tariffs. (They’re also a lot more expensive than getting the phone from EE – I’ve not bought a phone from a shop for 4+ years now but I’m sure they were cheaper than buying from the networks before). You’re right – the Carphone Warehouse website is a little bit confusing and doesn’t make this info particularly easy to find! You can find it mentioned over at http://www.carphonewarehouse.com/ee – there, they have a breakdown of the ‘EE Regular’ and ‘EE Extra’ plans. There’s also a mention of the 4GEE Extra plans costing “£3 more than a regular plan”. Pretty sure that’s wrong, and the units should be Mb/S!